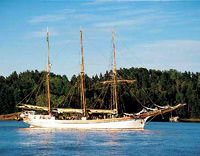 Enjoy seven and a half hours touring Oslo by boat and coach. Visit the fjord onboard a sailing ship where you will spend approximately two hours on the water, before disembarking and joining your coach tour. Cruise onboard a traditional wooden sailing ship as you sail for approximately 3 hours through a maze of green islands, dotted with summer houses. Explore the most sunniest capital in Scandinavia with this one-day ticket aboard an open-top double-decker bus. 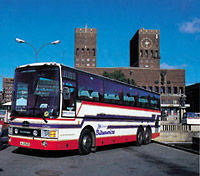 See all the main sights of Oslo as you hop on and hop off 10 conveniently located stops around the city. Enjoy a coach and boat tour through the city of Oslo and see the center of Oslo, Fram Museum, the Viking ships and Kon-Tiki Raft. You will also visit the Norwegian Folk Museum, the Holemnkollen Ski Jump with museum and Vigeland Sculpture Park. 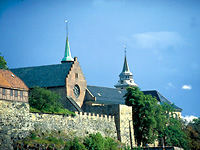 Enjoy a Norwegian sightseeing Mini cruise departing from the impressive City Hall of Oslo. A relaxing 90 minute boat cruise along the Oslo fjord is the best way to experience the stunning beauty of the Oslo fjord. The easiest and most inexpensive way to experience Oslo! The Oslo Pass lets you devote your entire trip to activities without the hassle of booking and buying.